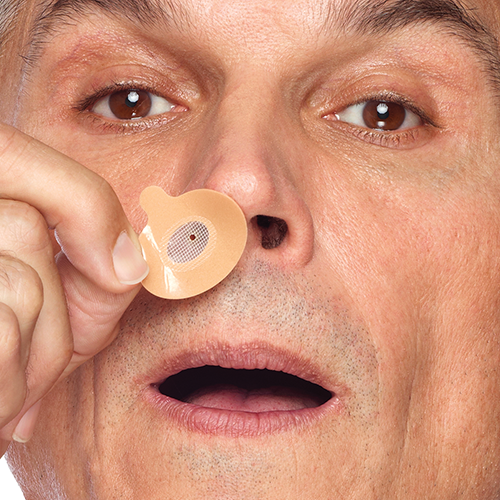 The effectiveness of Provent treating obstructive sleep apnea is clinically proven. Even though using it is simple, it can take some time getting used to Provent. Some people get used to it right away; others may take up to a week or more to get used to it. Take a minute to watch the step-by-step instructions in the video at the bottom of this page. 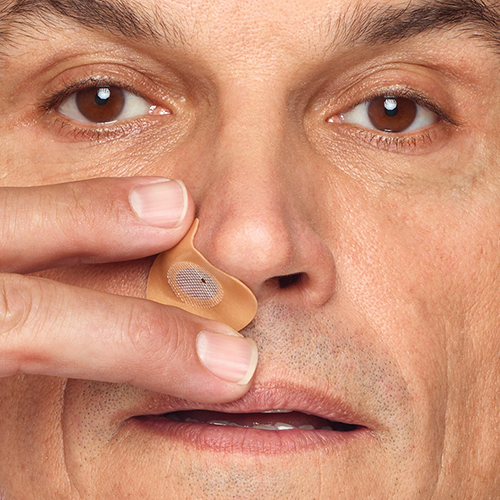 After putting the Provent Nasal Device into place, it may feel uncomfortable when you talk. 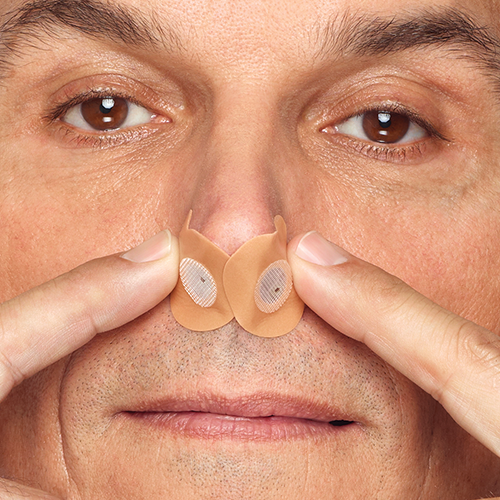 You will feel resistance when exhaling through your nose. 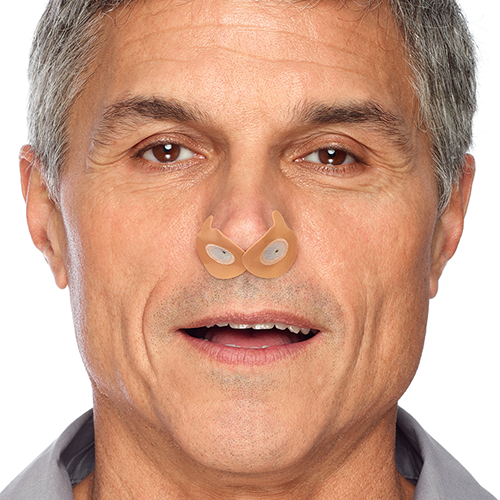 This is normal and is how Provent Sleep Apnea Therapy works. We suggest to put Provent on right before you plan going to bed. Use the entire box - many users need a week or more to get used to sleeping with the device in place. Give it time! For an effective therapy it is essential you have a good seal. Download the instructions. To help acclimate to Provent Therapy, we offer a Provent Starter Pack. 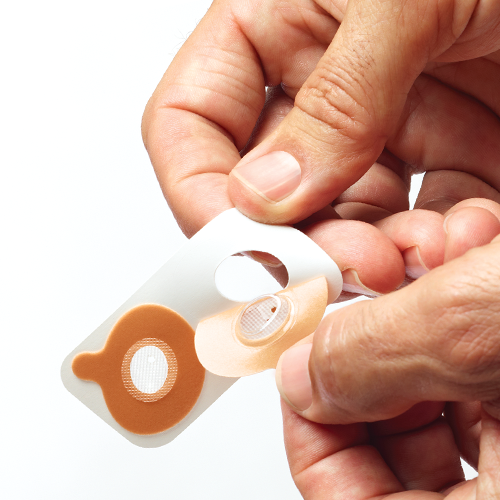 This kit contains patches for 3 fases: Low resistance to start with, Medium resistance to get used to a higher pressure and Standard resistance patches for the actual therapy. The Low and Medium resistance devices are not effective against sleep apnea, they only help you acclimate to the therapy. When you're comfortable using Provent, you can order the Provent Standard Pack that only includes Standard resistance devices. We recommend new users to always start with the Starter Kit.